Fire Pit! Plenty of wood on site -help yourself! Lounge Area on Back Deck! Dinning Table on back deck! High Top Table & Chairs, also on back deck! Kitchen -open floor plan - open sight line to living room and dining room! Master Bedroom - Access to back deck! Master Bath - whirlpool tub! Beach Area - 90' wide 60' deep - you do have to walk down the the beach area -about 1300'. Game area - main floor of home! Beach Area is 90' wide and 60' deep - you do have to walk down a path to the beach -about 1300' - the beach is shared with other home owners- there is a fire pit on the beach as well! 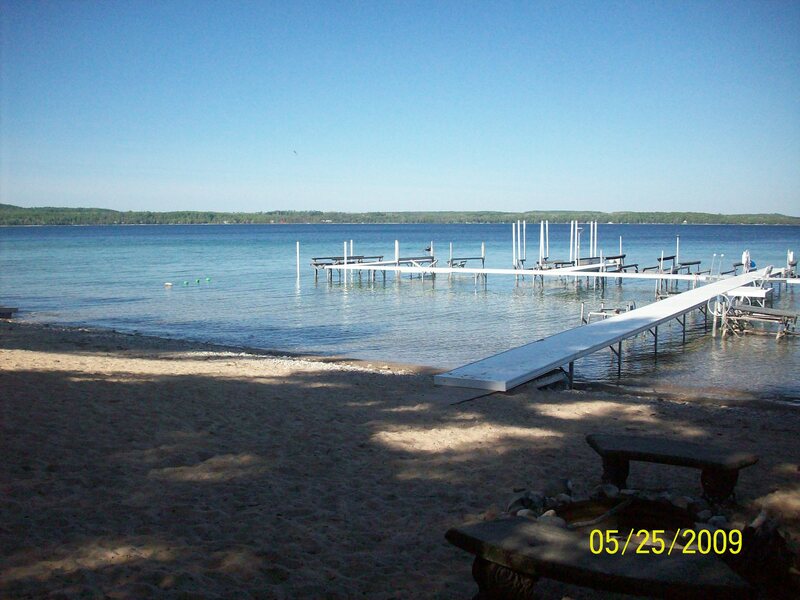 Located on beautiful Lake Charlevoix, this 4 bedrooms 3 bath cottage has lots to offer! Nestled in the woods on the north side of the lake, you will be conveniently located between Boyne City and Charlevoix. Closest village is Horton Bay. Cottage is located approx. 2miles west of Young State Park! Sleeps 10 max. - Please! 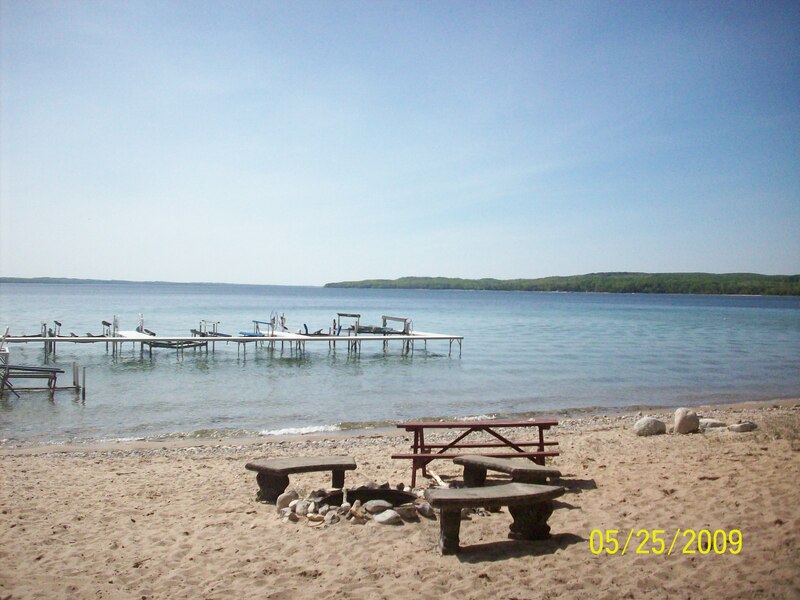 If you have a boat, you will need to reserve a boat slip @ Boyne City Marina on a daily or weekly basics @ $27.00/night - Please call to confirm availability and pricing -231-582-7361 - not open till 5/15/11 -Call Boyne City Hall @ 231-582-6597 for Marina Info! If you have a boat, you will need to reserve a boat slip @ Boyne City Marina on a daily or weekly basics @ $27.00/night - Please call to confirm availability and pricing -231-582-7361 - not open till 5/15/18 -Call Boyne City Hall @ 231-582-6597 for Marina Info!